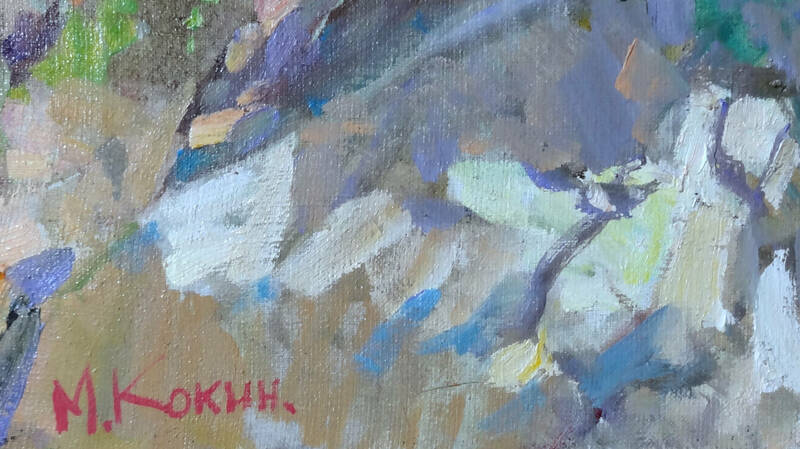 Kokin paints a beautiful scene en plein air. 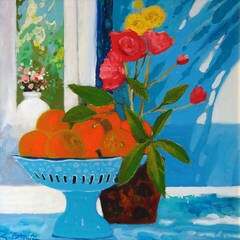 His loose brush strokes and bold colors bring movement and vibrancy to a typical still life. 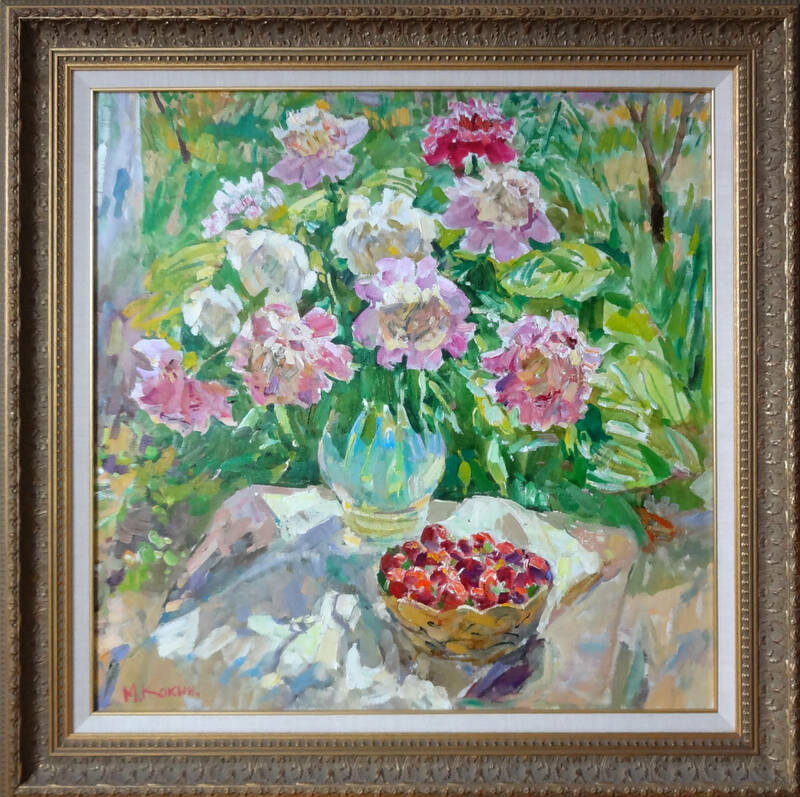 He paints the lush peonies as if they are floating out of the vase. The light shining on the basket of plump strawberries illuminates them perfectly. 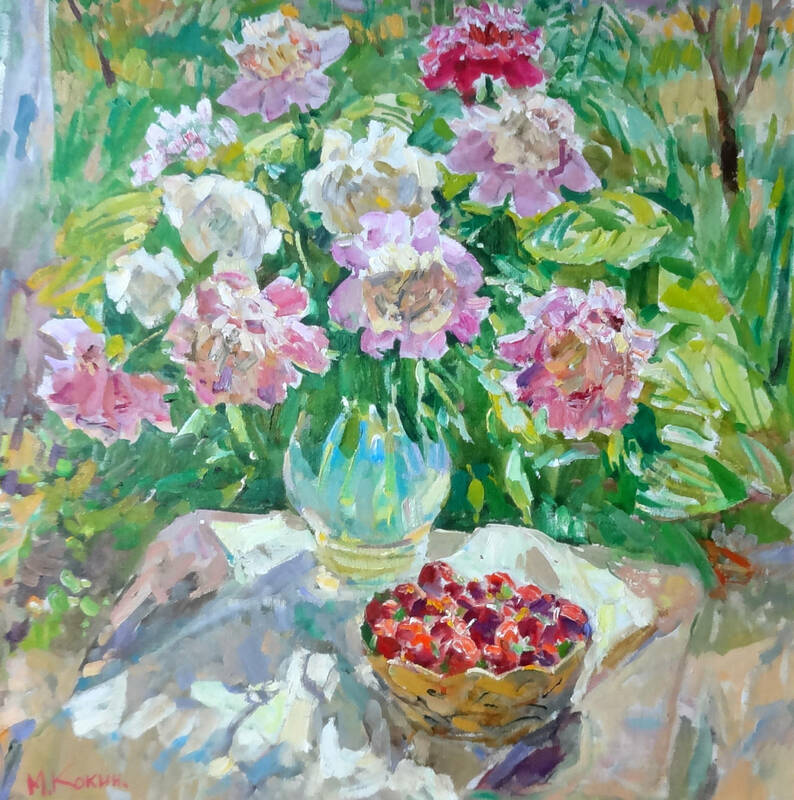 Mikhail Aleksandvovich Kokin was born in Ekaterinoslav, Ukraine in 1921. 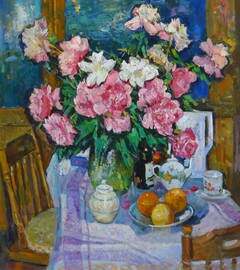 He studied at the Fine Arts School of Dnepropetrovsk from 1937 through 1941. He went on to study at the Kiev Art Institute as a student of Serguei Grigoriev until 1954. 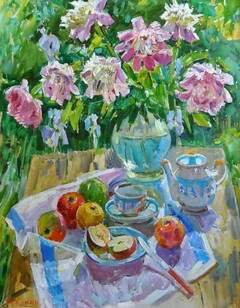 Since 1957 Kokin was a member of the Union of Artists, Emeritus Painters of Ukraine. He had several solo exhibitions starting in 1992. His works hang in the collections of the museum of Ukrainian Art in Kiev and the Fine Arts Museum in Dnepropetrovsk.